Economics is a serious, rational science. Though, if everything was logical and subject to calculation, the world would be a boring place. In such world, no marketing or behavioral research would be needed. Our whole life could have become one big formula. Companies would be able to plan their revenues for years ahead, as they would know how many products and services they would sell today, tomorrow, in a week, in a year, in a decade… But it doesn't work in such way, right? 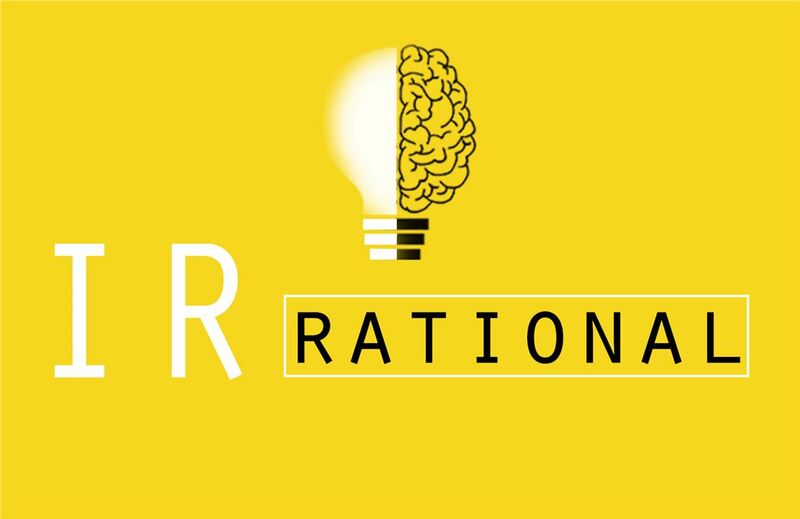 According to the traditional economic theory, people are rational creatures that make perfectly logical decisions in any situation as well as perfectly analyze the possible risks and consequences of their decisions. We are not so boringly rational. However, the irrationality of our behavior makes our life not only more interesting but also more complicated and challenging as well. That’s what behavioral economics is about. Economics is driven by our irrationality. Richard Thaler has proved it and that's why he was recently awarded a Nobel Prize in economics. The key message of this field of science tells us that economy is far more than market relations, needs, correlation of demand and proposition. It is driven by human behavior with all its irrational desires, spontaneous decisions, intuitive conclusions, cultural and social traditions. Behavioral economics – what is it? Economics is about mathematics. Though, you can’t explain human behavior using just math, as such “miscalculations” such as emotions, feelings and cognitive errors will be always in place. Thus, when making a purchase decision a customer is quite rarely driven only by the price. Of course, money will always be important, but not crucial when it comes to decision making. 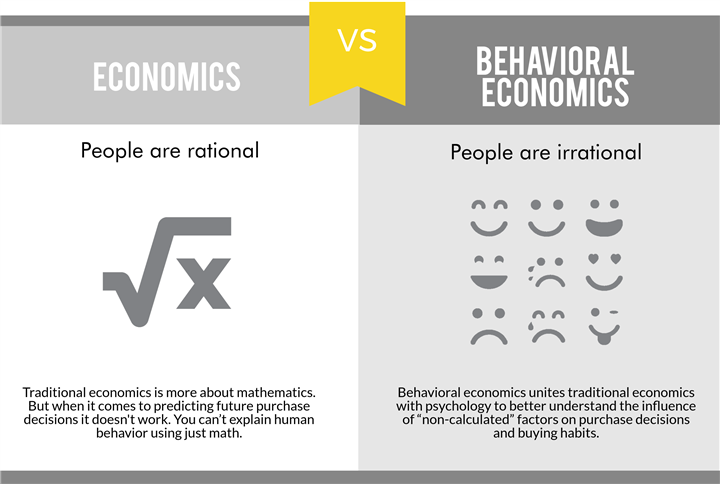 That’s why behavioral economics unites traditional economics with psychology and uses tools of both sciences to better understand the influence of “non-calculated” factors (psychological and emotional, social and cultural, etc.) on purchase decisions and buying habits. Studying these factors (which by the way has become far easier lately due to the popularization of neuromarketing tools) allows us to better predict customers’ behavior in different situations. How does the behavioral economics work? 1. Neuroeconomics – studying of reactions of different parts of the brain to external stimuli and changes in the environment, including within the framework of economic interactions. 2. Animals’ behavior studies – a research domain which concentrates on observation and studying the behavioral reactions of the most human-like animals as well as of their evolution. 3. Computer simulations – close to real life computer simulation of different routine situations in which participants have to make a decision. 4. Experiments – field experiments as well as experiments conducted in a laboratory or office under different conditions either on paper or with the help of computers. How was the behavioral economics born? The term “behavioral economics” was coined in 1970s-80s thanks to the works of Nobel Prize laureate Daniel Kahneman, Amos Twersky and Richard Thaler who co-authored a lot of Kahneman’s work published in the 1980s’. Back then, behavioral economics was a newcomer, not perceived seriously by the scientific community (currently neuromarketing is treated in practically the same way). Nevertheless, the continuous research process, as well as numerous scientific tests and publications, resulted in a Nobel Prize for Daniel Kahneman (a psychologist, by the way) and Vernon Smith for their contributions to the research of behavioral and experimental economics. As was already mentioned above, the third member of this researchers’ trio – Richard Thaler received a Nobel prize for his research this year. Thaler didn’t make any great scientific breakthrough. He received his Prize not for the substantiation of a particular thesis but for his general contribution to this relatively new field of study. For example, he created a model where he split the personality of a consumer into two different economic agents: the one who plans and another who acts. Let’s imagine that this “split” person has a gym membership, and like the majority of us doesn’t use all its benefits. The question is – why? According to the Thaler’s model when a person decides to pay for membership he/she has a particular plan regarding the number of workouts he/she wants to undertake. Once the membership has been purchased, the decision of whether to go or not to the gym is made by another “personality”. Thus, a person who wakes up early in the morning, on the one hand, thinks: “I should sleep for another hour”, while on the other: “But no, I should go, I’ve paid for the membership!” Yes, that’s what you were always thinking about – you have a personality split – one part of you likes to sleep while other is a true sportsman (by the way, check out these curious findings from behavioral scientists as well). Economics is driven by our irrationality. The world is full of challenges and opportunities because people are irrational. Nobody can predict everything. But scientists will never stop trying to find out more about factors that form human behavior. You can also check out this list of best popular studies on behavioral economics as well as surf these websites to learn more.